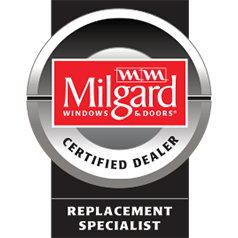 Windows Only is pleased to offer Portland Window Repair solutions to residential customers with non-warrantied problems, regardless of manufacturer, type or age of their windows. Our service department can quickly and inexpensively identify the source of your issue, and we can correct most issues at extremely affordable rates. Our service technician will visit your home to diagnose your problem. This includes up to an hour of diagnostic and/or corrective action. Many minor problems can be corrected in that first visit. If your technician is able to identify and correct the problem within that first hour, you will pay only $89+parts (if any parts were required). However, if your issue requires additional time and/or materials, your technician will provide an estimate before progressing with any additional work. All estimates are based on an hour rate of $65/hr. + parts. In some cases, your technician will be able to perform the complete service the same day. However, the repairs are extensive, or requires parts we do not have in stock, then a return visit would be scheduled. The primary function of the service call is to specifically identify the precise source of the problem, to determine if the problem is correctable, and if so to provide a specific suggested course of corrective action. In the rare event that your service technician is completely unable to specifically diagnose your problem, we will refund this fee. Balancers & Rollers: Sliding windows not “gliding”, or operating properly or easily. They may feel unnecessarily heavy or obstructed when opening and closing. Lock and Latch Mechanisms: Windows may not properly close, latch, or secure. They may stick and/or be difficult to operate. Other Difficulty with Operation: Windows may bind or rub in a way that makes them difficult to open or close. This can be a serious safety concern for egress windows. Leaks: Water or moisture is penetrating in the window frame, or around and below the window opening. Window channels may not drain properly. Trim Problems: Trim may be weathered, warped, or separated. This not only affects appearance, but can compromise the integrity of the leak barrier. Caulking Problems: Caulking around windows may be cracked or separated, allowing water to penetrate the wall, or even into the interior of the wall. Failed IGU (Insulated Glass Unit): Most windows built in the last 25 years are two panes of glass, separated by a spacer, joined together with an air tight seal. If that seal fails, you may see moisture or fogging between the two panes of glass. This problem can be corrected by either replacing just the IGU, or the whole window. We typically recommend the latter, but offer both solutions.